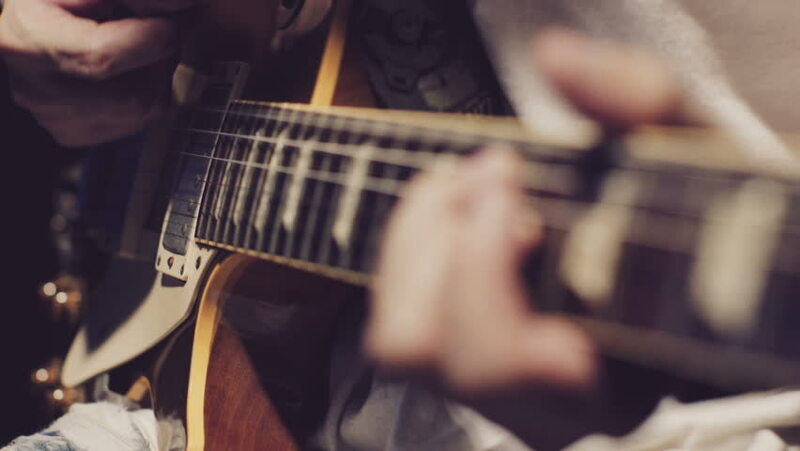 View of hands playing electric guitar. 4k00:16Bass guitar.Lessons of guitar playing. 4k00:19Shallow depth of field with focus on slider of six string slide guitar.